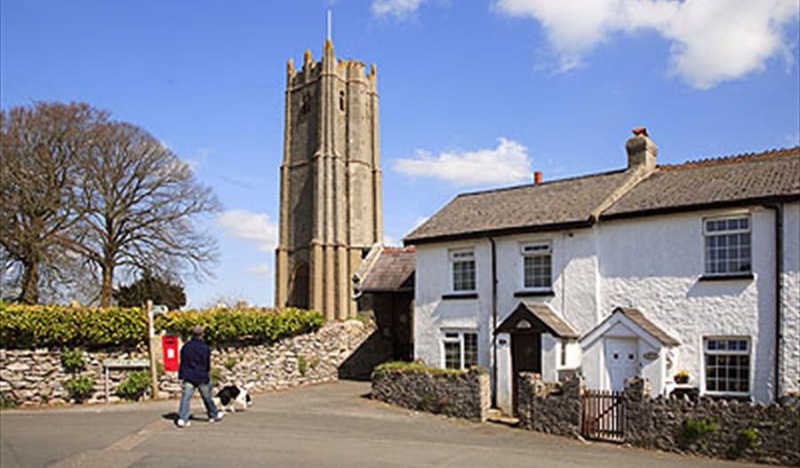 I live in a small village – OK in some parts of the world it would be a relatively small town however here it is a village – called Ipplepen in South Devon, England on whose outskirts there is a magical and mystical place called Denbury Mound where 2,000 years BC the first Devonian people lived. This is the first of what I intend – ah! the best of intentions eh! – to be a letter or diary entry if you will from the Ipple-Pen Diaries. It’s now the end of April here in Ipplepen and the Spring has well and truly arrived with the hedgerows full of colour from the almost iridescent green of the hedgerow leaves to the beautiful natural wild flower arrangements of primroses and bluebells. For those who don’t know, one of the features of South Devon is the very narrow lanes and the surrounding lanes of Ipplepen are no different which can be seen by the number of cases of “lane rash” on the vehicles of those of us who are fortunate enough to live here. The best way to describe “lane rash” is by explaining that no matter how careful a driver you are in this area when pulling over to allow a vehicle to pass or vice -versa it is inevitable at some time to drive -albeit slowly- into the hedges which in itself isn’t a problem except that in many cases they conceal a dry stone granite or limestone wall that has stood unmoved for centuries. I happen to drive an 11 year old Volvo V50 and can confirm that in-spite of the excellence of the engineering that has gone into it a centuries old wall will always win. Anyway back to Ipplepen where the weather is improving which in reality means it is raining just as much – it rains a lot in Devon – as during the winter months but at least it is warmer. 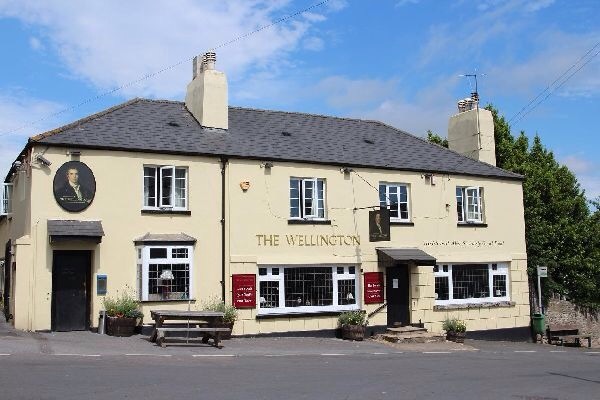 Yes this is wellington boot country which is perhaps just as well because the local pub is called the Wellington complete with wood burning stoves and incidentally top quality locally brewed beers and the best fish and chips in Devon. Of course this is only my opinion but it’s my letter/diary so in this case it is only my opinion that counts. Ipplepen itself has a single entry primary school of 150 children, a nursery school, one shop, a post office and a healthcare centre. So along with the Public house what else does anyone need? We also have two churches -Anglican and Methodist – and boast that we have the smallest Conservative Club in the country which conveniently is only 100metres from the pub or in simple terms staggering distance. I suppose the thing that impresses me most about living here is the neighbourliness of the people. When we had the recent snow that paralysed or at least appeared to paralyse the whole of the British Isles nothing could move in Ipplepen until that is the local farming community and locals got to work. I am by the way a member of the Parish Council who when the weather warning of snow was first given out were uncharacteristically enthusiastic because they had purchased a “gritter” five years ago and hadn’t had the opportunity to use it. Needless to say prior to the snow we were out gritting and then when the snow eventually arrived local farmers complete with tractors were out helping to open the roads. The school to the delight of the children was closed. Neighbours called on neighbours especially the older members of the community to check that they were OK and those who had four wheel drive vehicles – complete with “lane rash” turned out to run errands, collect prescriptions and take those who work in essential services – such as our fantastic nurses – to and from work. Ipplepen people have the kind of attitude that sadly has been lost across whole swages of the United Kingdom – that of we’ll just get on with it – which I suppose can be summed up by the fact that the Wellington stayed open. Which incidentally is why I’m going to stop here because that is where I will be in 30 minutes time. Thank you I’ll try and give a snap shot of this part of England Village.